File Name: The IMPOSSIBLE BACKFLIP Challenge! 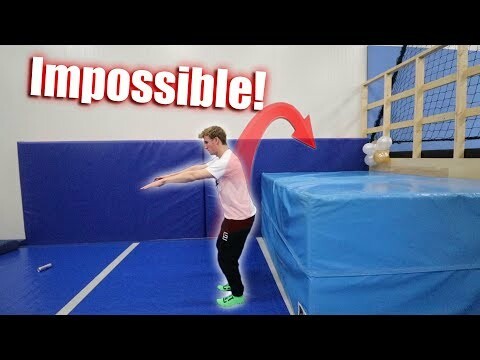 Who of us can backflip the highest and actually succeed the impossible backflip challenge?! Find out in this video! LIKE THE VIDEO IF YOU ENJOYED! Follow me on social media to stay up to date! loves making videos. I try to get as creative as possible in all of my videos! and I love anything that has something to do with adrenaline! WHAT EXACTLY IS SKITTA COMITTA?! My 2 best friends and I created 'Skitta Comitta', which we use for anything in life! With Skitta Comitta we talk about Full Commitment to anything! Don't ever be afraid to do something! Step out of your comfort zone! Give something Your Final Push! Cause if you will always stay in that comfort zone and never take any risks, your life won't get any better. ily if you read all of this.